Getting to the good stuff doesn't have to be graceful! « Do You Know What That’s Worth? Ooh, Heaven is Charleston on Earth! Happy Fourth of July Y’all!!! I feel so very thankful to live in this amazing country, particularly for the endless BOUNTY that it supplies to a growing nation of people and the world! Why do I mention bounty in particular? well, I purposefully left out one VERY exciting part of my wonderful Charleston weekend…. Despite my confusion and post-sun haze, I knew I wanted to be a part of whatever was going on. 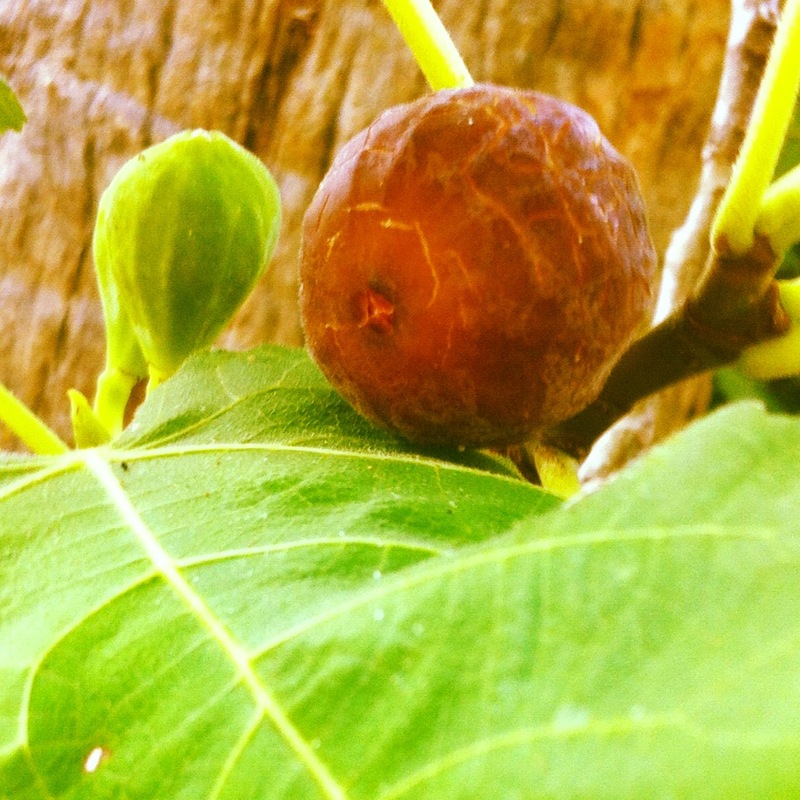 I ran back out the door with Winn and sho’ nuff, she pointed out a FIG tree in our backyard just dripping with beautiful, ripe figs! I’m tellin’ you, Charleston is Eden on Earth! 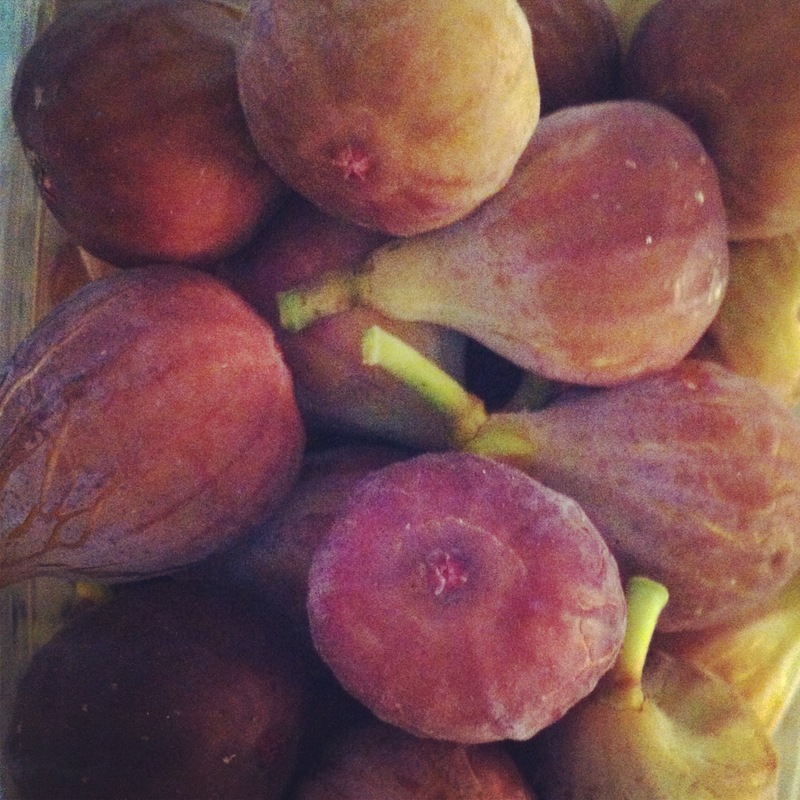 I ADORE figs—fresh, dried and cooked into just about anything, and I’m so glad Winn discovered this treasure! We got to work filling a large Tupperware container with the purple gems, ignoring a few scratches here and there for our much greater cause. 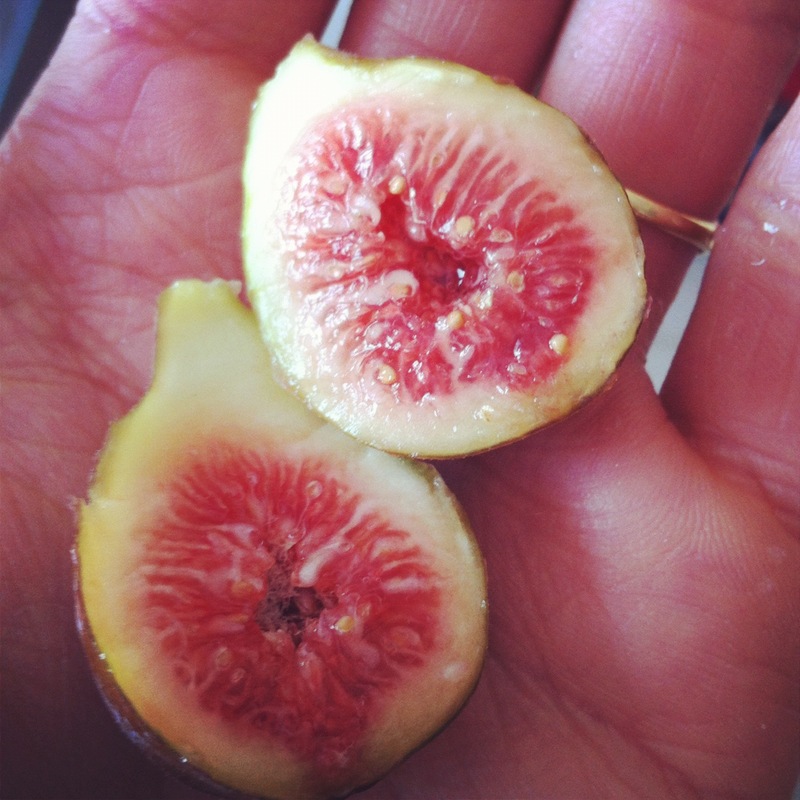 A few were devoured fresh off the vine, and we couldn’t stop ohhhing and ahhhing at how perfectly sweet, tender and juicy they were. We tried to enlist a few of the others to try one of our spoils, but they didn’t seem quite as excited :). Which only meant more for us! Easy as they come: While your pasta cooks (remember to salt the water generously! ), toss first 4 ingredients into your blender or food processor and whir away until creamy. Taste and add S&P accordingly. When pasta is ready, drain but reserve a bit of the cooking liquid. Return pasta to pot and add as much of your TDF goat cheese sauce as you like. If it’s too thick, drizzle in a bit of the reserved pasta water. Farm Beach House to Table! This trio of flavors is right up there with pb&j as one of the best, most natural combinations in the culinary world. It was phenomenal creamy and melted into hot pasta, but you could easily use it as a dip for just about anything…including simply a spoon. 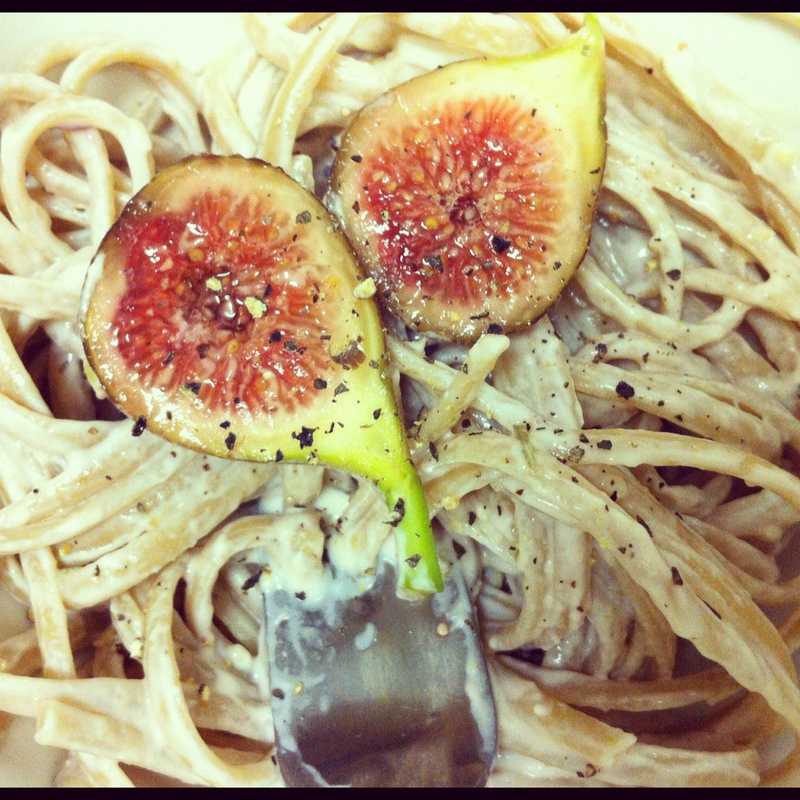 Despite the sweetness of the figs, the addition of rosemary and salt easily transitions this to a savory dish. Feel free to experiment with your favorite fruits and spices—just blend with some goat cheese and I’m not sure how you can go wrong?! I’m off to honor our country by being a productive, contributing citizen and gettin’ some work/errands done! Tomorrow morning I leave for Nashville and then will drive on to Birmingham with my parents for my BIG BROTHER’S WEDDING!!! Cannot wait to be there, but first I want to have some things wiped off the to-do list. Have a wonderful Independence day! LL-that pasta looks amazing!! I know what I am having for dinner tomorrow night. Oh my gosh. Have fun at the wedding! Thanks girl! Let me know how the pasta goes! Looks good. I like the photos! Welcome! My name is Laura Lea, and I am a 26 year-old NYC corporate cowgirl by day and healthy living blogger by night! I love creating and eating nutritious (and occasionally naughty) food, exercise of all kinds, animals, thumbs ups and denim clothing. I hope you enjoy your time sharing my journey! Do You Know What That’s Worth? Ooh, Heaven is Charleston on Earth!